An iPhone is not cheap, and most people therefore consider it an investment. This is the primary reason why most people often take very good care of their iPhones, ensuring they never get broken. Yet, the data on the iPhone is the most important aspect of the device. Sure, the hardware is great. But when your iPhone is broken, you risk losing all the contacts, text messages, calendar, notes and other important data on it. The good news is, there are ways to get data of a broken iPhone. In this article we share with you one of the most effective ways to do that. Depending on the level of damage your device has suffered, getting the data back can be easy or difficult. 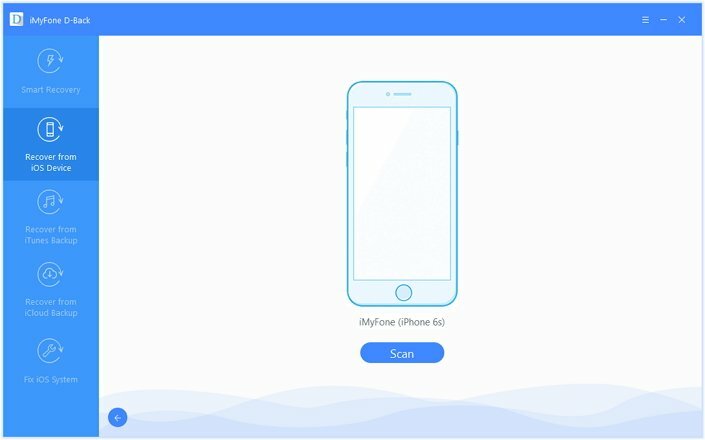 If the device is so broken that it is unusable or unrepairable, you obviously can’t restore the missing data from an iTunes or iCloud backup, until you get a new device. If the device can be repaired, chances are that you may still lose some if not all of the data on the device anyway. In this case, a specialized data recovery tool can be very helpful and one of the best is iMyFone D-Back. 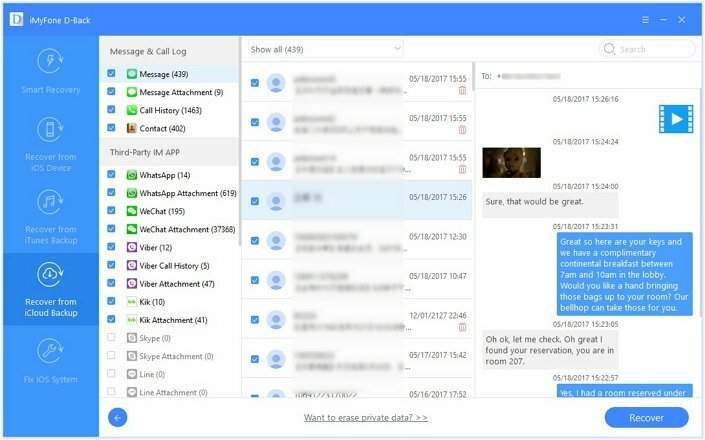 Under the right circumstances, D-back can help you recover data from the broken device so you can then restore it to the new or repaired device. The following are some of D-Back’s features. 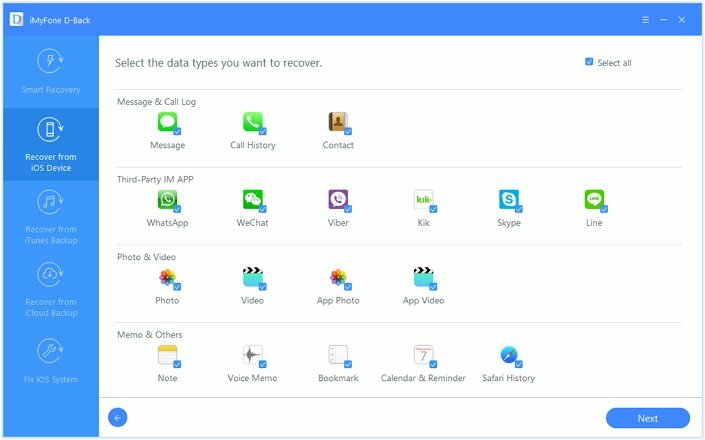 It is useful in the recovery of up to 22 different types of data including Photos, videos, messages, contacts and call logs and more. It is highly effective and poses no risk to the rest of the data on your device. Here’s how to use iMyFone D-Back to recover data from a damaged iPhone. To begin, download and install the program to your computer and then use one of the following processes to recover data from the damaged device. 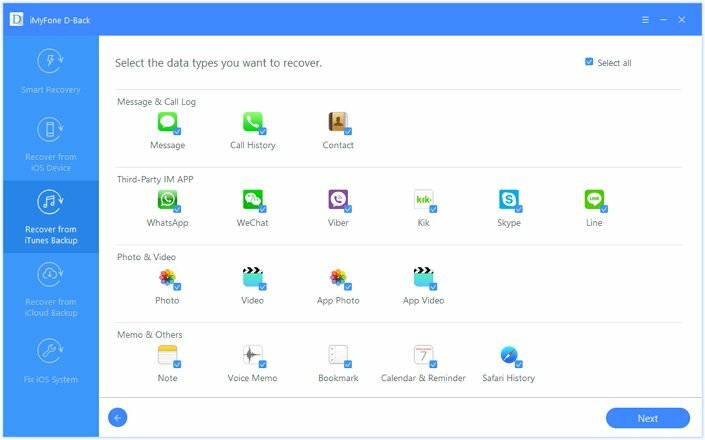 If you don’t have a backup of the data and your computer can still recognize the device, you can follow these simple steps to recover the missing data. Step 1: From the main window, select “Recover from iOS Device” and then click “Start” to begin. Select Messages as the type of data you want to recover in the next window and then click “Next.” You can also choose to recover all the data. Step 2: Connect the iPhone to the computer using USB cables and wait for the program to detect the device. Click “Scan” once the program has detected the device. Step 3: When the scanning process is complete, you should see a list of all specified data on that device displayed in the next window. Select the data you want to recover and then click “Recover” to save them to your computer. Choose this recovery mode if you have a backup of the data you need in iTunes but don’t want to restore the device. 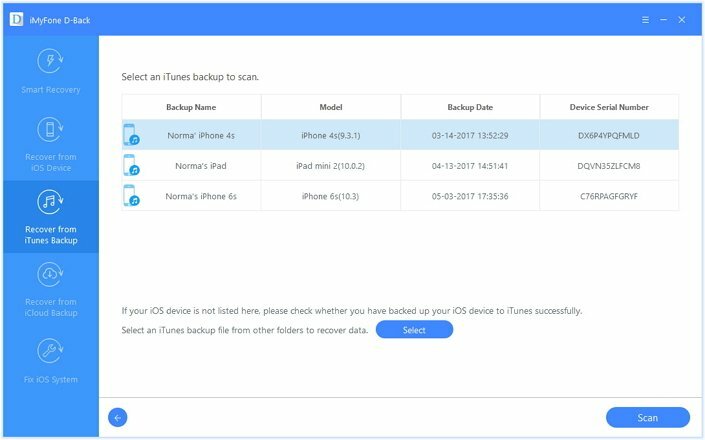 Step 2: From the list of iTunes backup files displayed in the next window, select the most relevant one and then click “Scan” to begin analyzing the backup file to find the missing data. Step 3: Once the process is complete, select the data you want to recover from the results displayed and click “Recover” to save them on your computer. 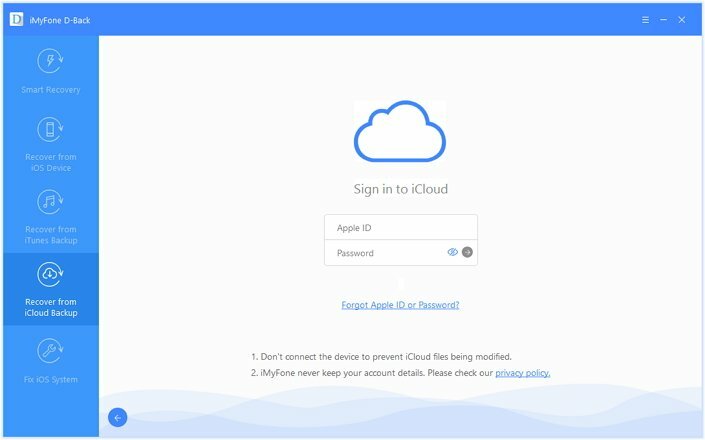 If the data you need is in an iCloud backup, follow these simple steps to get it back. 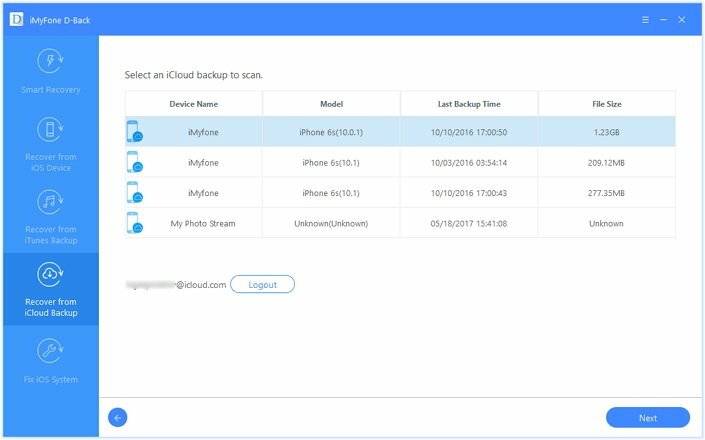 Step 1: From the main window, select “Recover from iCloud Backup” and click “Start” to begin. Select the type of data you need in the next window and then click “Next” to begin. Step 2: Sign in to iCloud and then select the most relevant iCloud backup. Click “Next” to allow the program to analyze the backup for the data you’ve selected. Step 3: Once the analysis is complete, select the data you want to recover from the results page and click “Recover” to save them to your computer.